If implemented to the letter, the Federal Government’s Executive Order No. 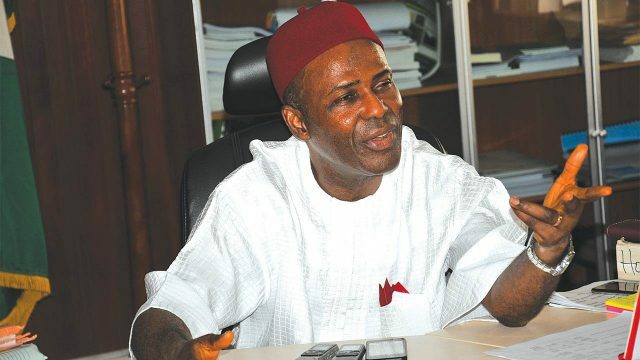 5, will not only boost Nigerians’ economic prosperity and self-reliance, but also bring an end to excessive finished products and expertise importation into Nigeria, the Minister of Science and Technology, Dr. Ogbonnaya Onu, has said. Specifically targeted to be reduced to the barest minimum are the use of expatriates for the execution of key national projects; the importation of refined petroleum products, food, essential commodities and a host of many others.The move is meant to give opportunity to indigenous professionals and firms to prove their worth and provide these goods and services. Onu, who became poetic, further asserted: “Never again will Nigeria continue to import from other countries, many of her needs. Never again will Nigeria continue to employ foreign experts, to do work that Nigerians can do. Never again will Nigeria continue to use foreign companies and firms to execute important projects, without having Nigerians to understudy them. Never again will Nigeria not be able to feed herself. Never again will Nigeria continue to export crude oil and import refined petroleum products. Never again will Nigeria continue to export wood, only to import toothpicks. Never again will Nigeria with cash in her hands, look for essential equipment for her military, yet not having a single country willing to sell. Earlier in his remarks, the Permanent Secretary in the Ministry, Bitrus Bako Nabasu, while rallying support for the implementation of the Order, urged Nigerians to take advantage of the inherent opportunities.He said this is particularly so, as the initiative will increase local content development in public procurement, while also ensuring Nigeria’s rapid technological development in the areas of maintenance, design, and reproduction of technology infrastructure among many others. The Director General/Chief Executive Officer, Federal Institute of Industrial Research, Oshodi (FIIRO), Prof. (Mrs) Gloria Elemo, host of the conference, noted that the implementation of the Executive Order will be an added impetus to the foremost research centre especially in the commercialisation of research findings.This is particularly so because FIIRO is a major technology provider to small firms and constantly engaged in research and development activities.